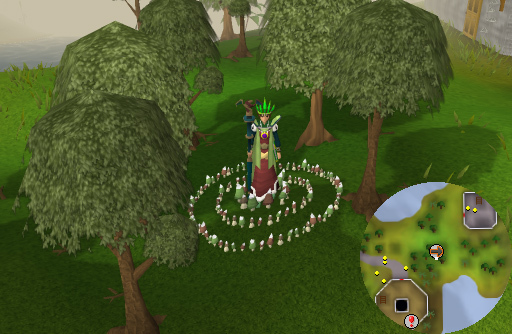 Fairy Rings make up one of the largest teleportation networks in RuneScape. They were introduced on July 11, 2006 in the Fairy Tale Part 2: Cure a Queen Quest. 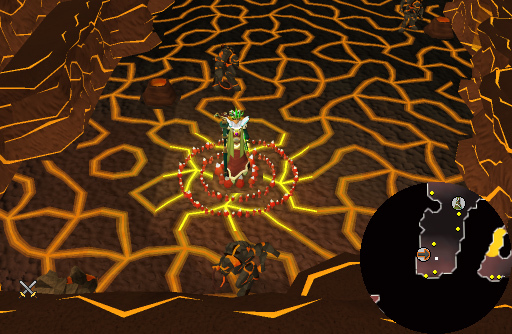 You will find yourself with the ability to teleport to useful places you couldn't before, such as TzHaar, the Legends' Guild, Miscellania, Canifis, and even near the lair of the almighty Kalphite Queen! 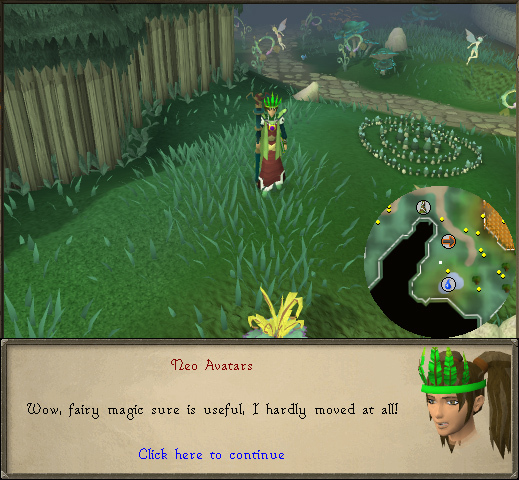 The Fairy rings are used in Fairy Tale Part 2: Cure a Queen, but like I have stated above, they can be used to teleport to other locations. Completion of the quest is NOT required. You just need to start the quest (you do not need the skill requirements, but you do need the quest requirements) and get permission from the Fairy Godfather to use them. 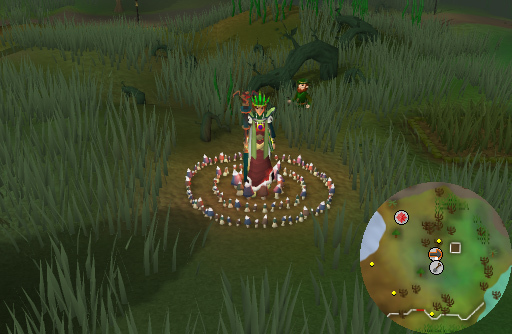 You can use fairy rings as many times as you want, there is nothing to charge or pay for. 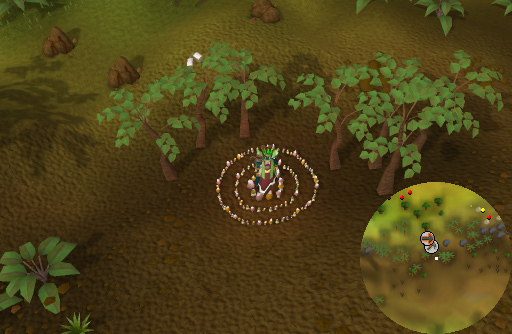 Rings you find outside of Zanaris will simply teleport you to the main and most powerful fairy ring in Zanaris, which is located southeast of the bank. 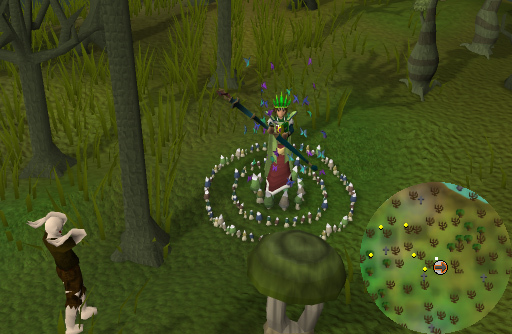 This ring can teleport you to any other fairy ring around Runescape. You also need to have your Dramen Staff or Lunar Staff equipped when you use them or you will not be taken anywhere. Each controller contains four mushrooms inscribed with a letter (from left to right: "abcd", "ijkl", "pqrs"). Clicking on a mushroom will cause the controller to rotate either clockwise or counterclockwise, depending on the position of the letter. 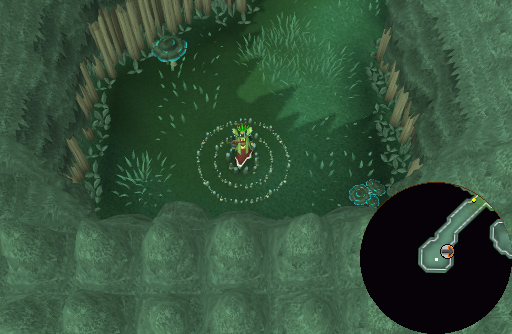 In the above image, clicking on the "b" will rotate the leftmost controller counterclockwise, while clicking on the "d" will rotate it clockwise. It is possible to add up to 8 locations of your choice to your favorites by clicking the green heart icon next to the coordinates in your travel log. This will automatically input the combination. 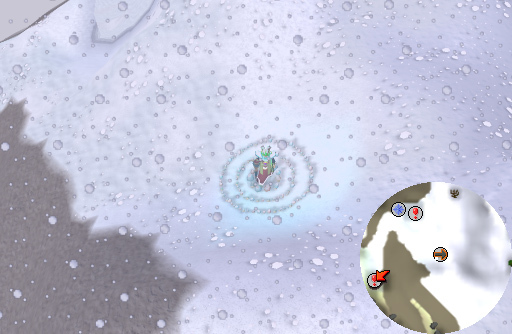 If you click the "Fast Teleport" box, you will arrive at the location quicker due to circumventing the turning animation. Once you have dialed the combination you would like, click on the "Teleport to this location" button to arrive at the location you've chosen. Tip: You can rapidly click a ring to have it rotate multiple positions. 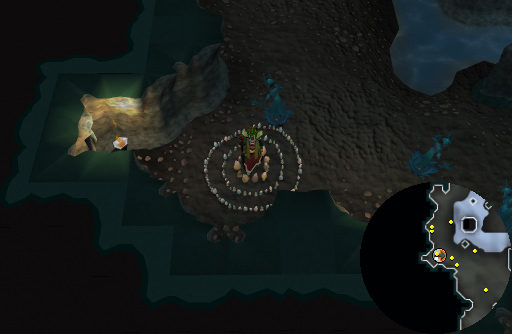 There are some coordinates you cannot use if you have not completed certain quests. For example, you cannot go anywhere in Canifis if you have not completed Priest in Peril. 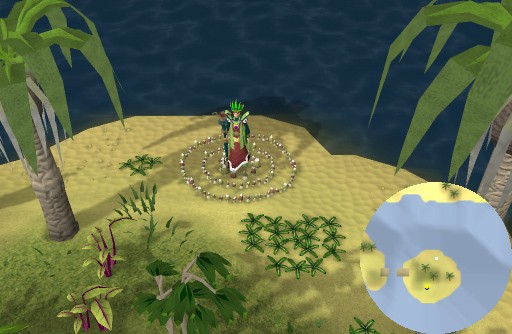 Location: Mudskipper Point, south of Port Sarim. Location: A deserted Island (East of Necromancer Tower). It is useless, nothing to do here. 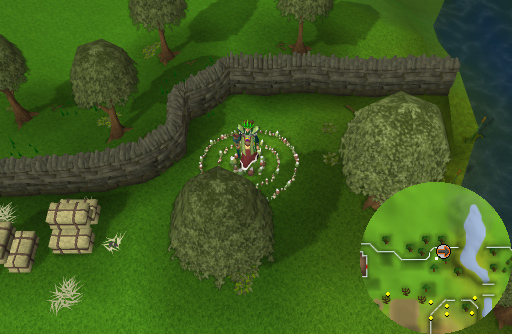 Location: This ring is located in the Dorgesh-Kaan Dungeon, which is south of the goblin city, Dorgesh-Kaan. Some call this dungeon a continuation to the Lumbridge Swamp Caves. 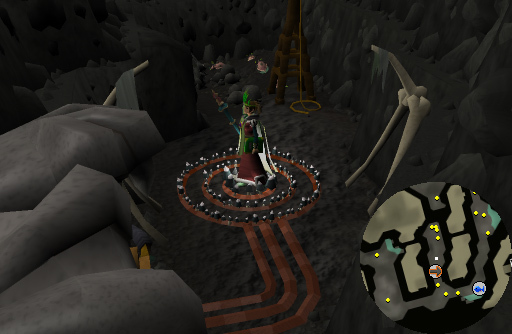 In this dungeon, you can find many slayer monsters. 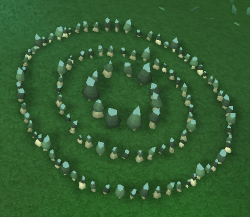 Most of them are replicas of the ones in the Lumbridge Swamp Caves. However, there are a few that reside only in this dungeon. 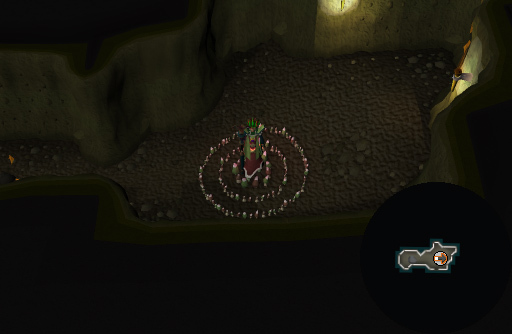 Location: Close to the Fremennik Slayer Cave entrance. 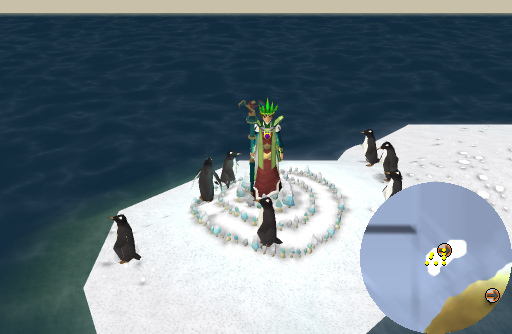 Location: Penguin Isle! A small island by Miscellania with little level 2 penguins! Location: Outside the Piscatoris Fishing Colony. The colony is to the north. To the south, you can find a hunting area and Eagles' Peak. Location: Feldip Hills, by the pile of rock mine. To the south you can find a hunting area. Location: In a cave to the south of Jiggig. Unlocked during Fairy Tale Part III: Battle at Orks Rift. Location: The Haunted Woods. 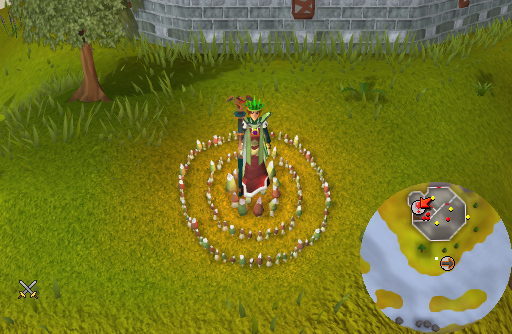 Before an update on May 7th, 2008, this fairy ring was one way. It did not have a combination, but you were able to use it to get to Zanaris if you had a Dramen or Lunar Staff. 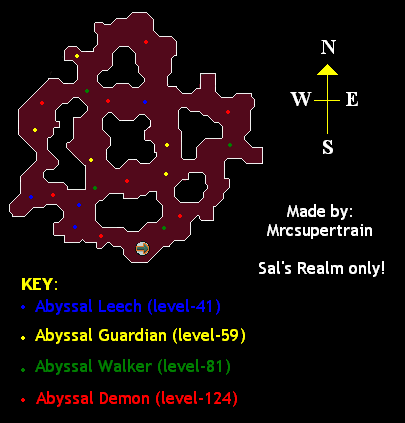 Location: A New Abyss area, containing all abyssal monsters including the Abyssal Demons. The demons aren't aggressive, but the monsters are, unless your combat level is twice as high as them plus 1. You are NOT skulled and your prayer is NOT drained. 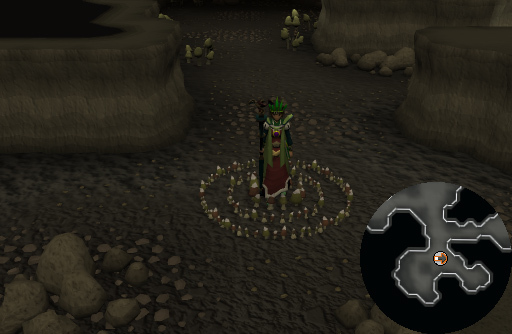 There is no way to access the Runecrafting portals. In this area you can kill the monsters for pouches too. Location: An Island in the river salve. It is by the Nature Spirit alter, but you cannot get to it. Again, nothing useless island just for scenery. 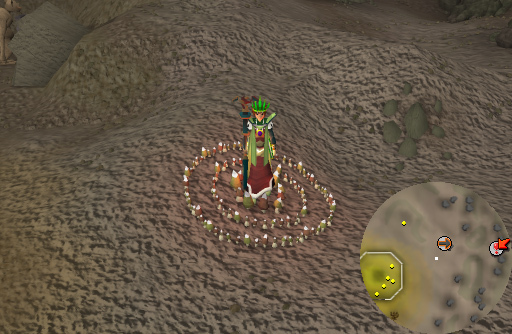 Location: In the desert, near the Kalphite Lair. Close by are some Ugthanki and Desert Wolves. Remember to bring Waterskins, or you will start dying of thirst. Location: This area is the Sparse Plane and is where you are taken to start Fairy Tale Part III: Battle at Orks Rift. 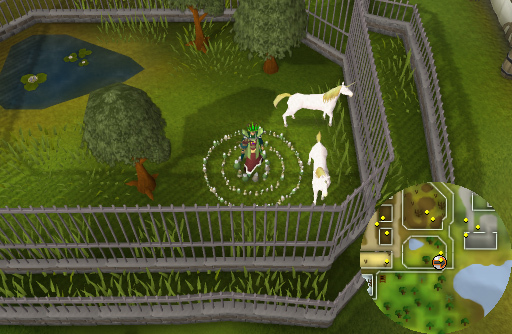 Location: In the Ardougne zoo, with unicorns. Not that pointless; it's got unicorns. You're also caged-in, so you cannot get out any other way expect through the fairy ring or teleportation. Location: This is the fisher kings realm. It is used in The Holy Grail quest. I already completed the quest, so I would say that you cannot use this combination until you finish the quest. 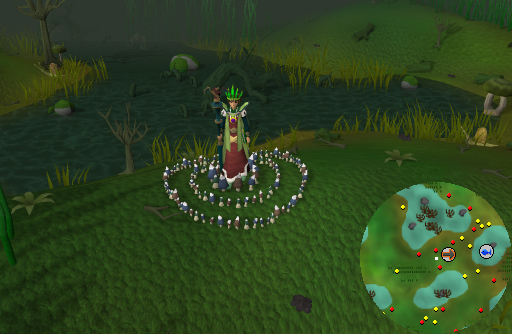 Location: This ring is south of Castle Wars in Chompy Hunting swamp. Location: This area is known as the "Enchanted Valley". Here you can find Centaurs, stags, and rabbits. 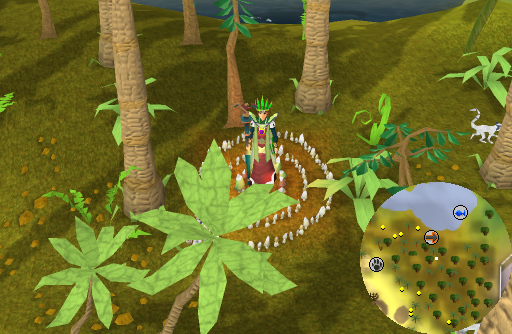 Chopping the ancient pine trees will result in a Tree Spirit Random Event. There is also a person named Wood Dryad who you can talk to. 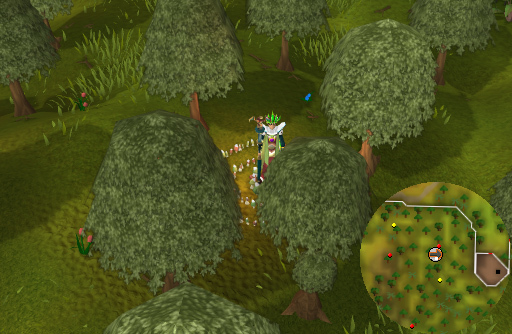 Location: Mort Myre Swamp. Watch out for ghasts. 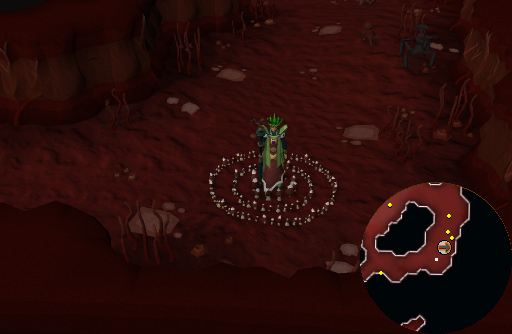 Location: A southern part of TzHaar. You can still get to everyone else in TzHaar. Location: The west side of the Ancient Cavern. 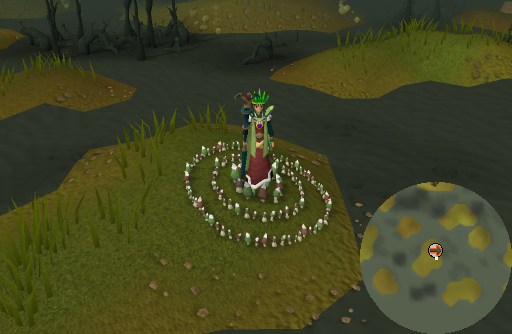 To unlock it, you must plant 5 Mushrooms by using them with the ring space while you have a Spade in your inventory. Location: Yu'biusk, the destroyed land of the goblins. Requires completion of Land of the Goblins. To use this combination, you must have completed the Fremennik Trials quest. 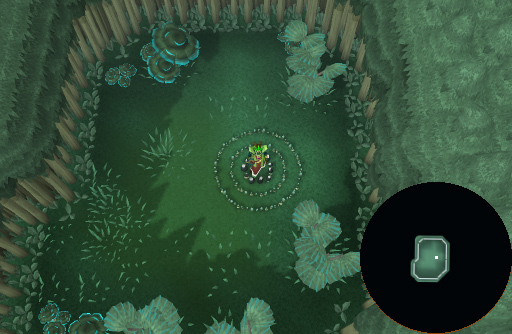 Otherwise, you will only be teleported a short distance away. 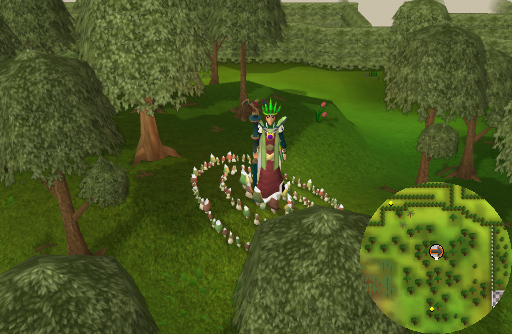 Location: South of the Tree Gnome Village, from the Tree Gnome Village quest. 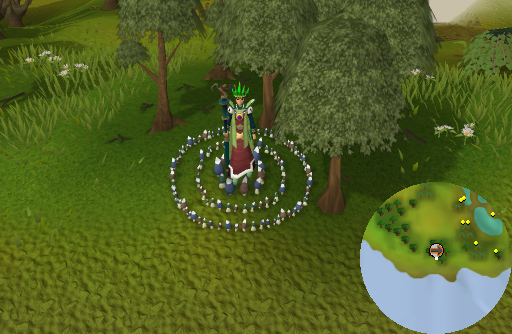 This ring is also a short walk away from the entrance to Yanille. 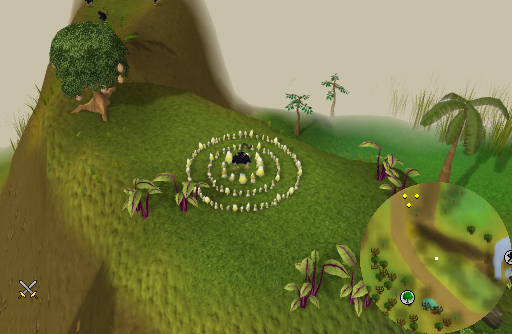 Location: To the west of the Ape Atoll agility course. Unlocked during Fairy Tale Part III: Battle at Orks Rift. Location: This ring is in the big yard of Maple trees near the Sinclair Mansion. Location: This is a new area which is used in the Fairy Tale Part 2: Cure a Queen quest. You can find starflowers here and you can talk to a cosmic being. Location: Northwest of Shilo Village by the Karambwanji fishing spot. 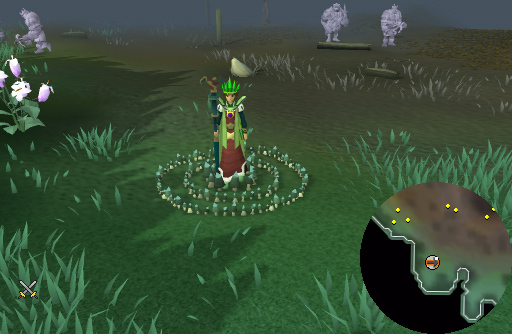 This ring is very useful and fast for crafting nature runes, as the alter is a few steps and you can use the Zanaris bank to store and withdraw natures and essence. 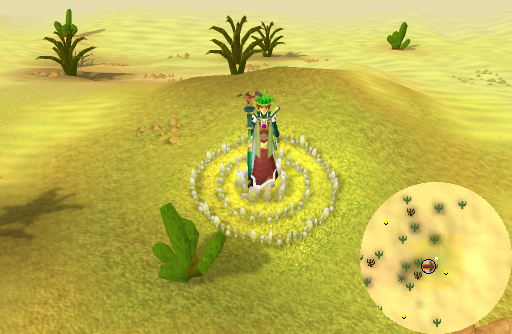 Location: Canifis, near the entrance to the swamp. 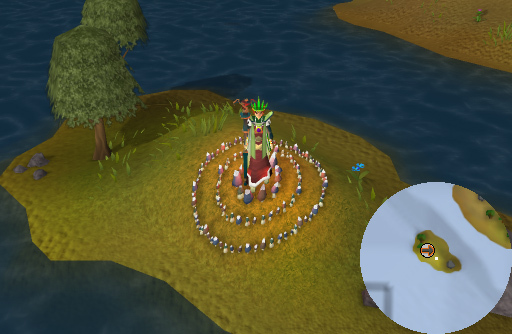 Location: A small island near Draynor Village. It is useless with nothing to do. 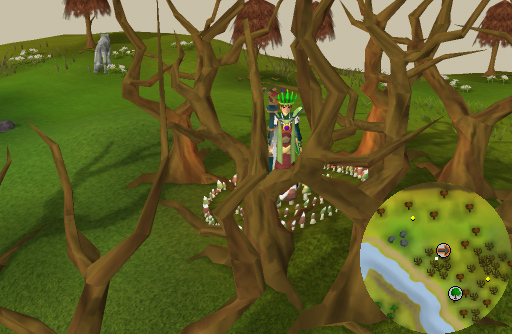 Location: Gnome Hazelmere's house, from The Grand Tree quest. It is also near Yanille, just a short walk away. Location: An island to the south of Mos Le'Harmless. The bridges to the mainland can be repaired with 8 Planks, 16 Nails and a Hammer. Location: Home of Goraks and Cloud Banks. This area is used in the Fairy Tale Part 2: Cure a Queen quest. Protect prayers do not work. You can turn them on, but they can still hit through your prayer. The cloud banks are a safety area. Goraks cannot attack you from inside. Goraks are level 145 and drop Gorak Claws. 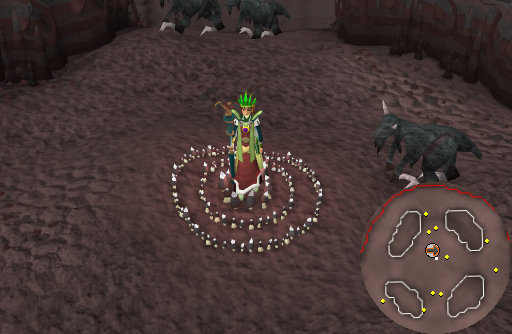 The drop rate for the claws is 100% during the quest, but after you obtain your first claw the drop rate decreases to about 30% chance of a drop. Location: Behind the Wizard Tower. Location: Close to the Necromancer Tower and The Tower of Life, Southeast of Ardougne. Location: Northwest of the Sinclair Mansion. 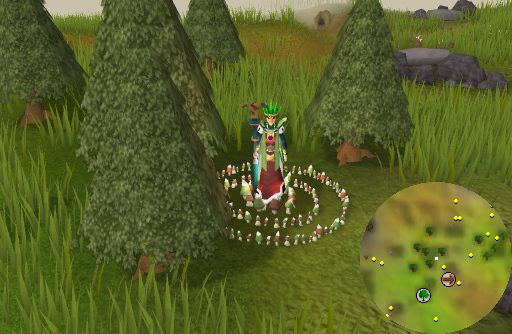 The other fairy ring that is also by the mansion is very close by. I wonder why? 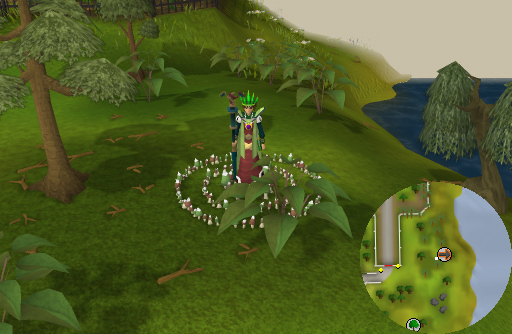 Location: North of the Nature alter to runecraft. At this location you can fish Karambwan. Location: A bit south of the Edgeville Canoe Station. Location: On the Trollweiss Mountain, near the entrance to Keldagrim. This ring is located close to a hunting area. Location: In the desert. When you arrive to the north are desert lizards and to the west are jackals. Location: An isle in the Isafdar Poison Waste. It is a useless island. You cannot get to any other land in the Elf Kingdom. 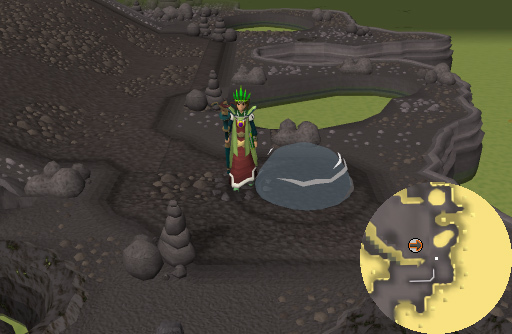 Strange enough you can teleport here without completion of Regicide. Location: This ring is in the tunnel under the Hair and Dog Pub in Canifis. You cannot teleport here without completion of Priest in Peril and In Search of the Myreque. It looks like you're stuck in here, but you're not. You need to find the cracks in the walls and make your way to the main tunnel. There are two locations which can only be reached by entering a series of coordinates in a specific order. Location: The Fairy Resistance HQ, which is used during the Fairy Tale quests to help organise the battle plan. Location: The Ork's Rift. It is unlocked during Fairy Tale Part III: Battle at Orks Rift and after the quest you can fight level 108 Cursed Ivory Generals here. Here is a list of all the coordinates in a list summary with just coordinates and locations. AIR - Deserted island (East of the Necromancer tower). AJQ - In the Dorgesh-Kaan South Dungeon. 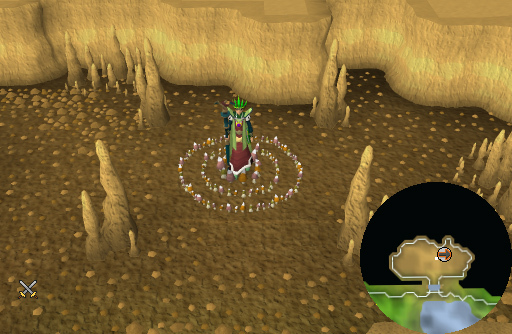 AJR - Fremennik Slayer Cave entrance. 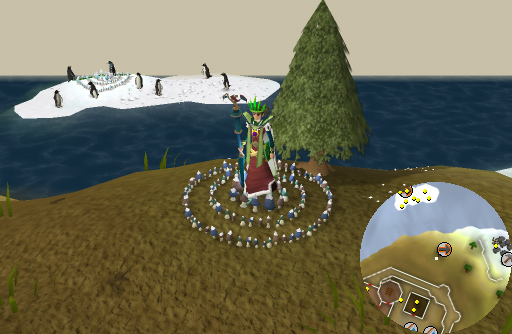 AJS - Penguin isle (north of Miscellania). AKQ - South of Piscatoris Fishing Colony. AKS - Feldip Hills (by pile of rocks). ALP - In a cave to the south of Jiggig. ALR - New Abyss (all abyssal monsters, including Abyssal Demons). 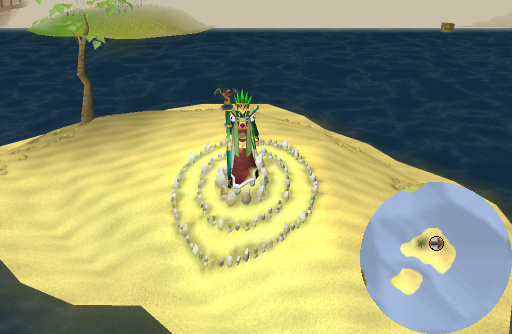 BIP - Island in the River Salve near the Nature Spirit altar (deserted). 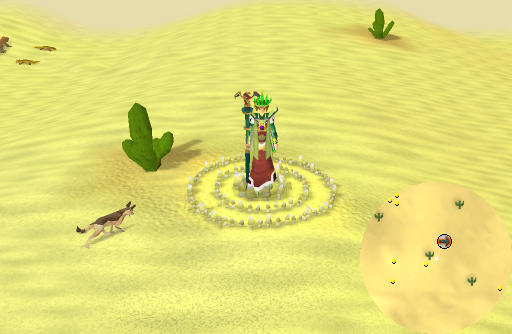 BIQ - The Desert (Ugthanki and Desert Wolves, close to Kalphite Lair). BIR - The Sparse Plane. BIS - Ardougne Zoo. In a cage with unicorns. BJQ - The Ancient Cavern. BJR - Fisher King's Realm from the Holy Grail quest. 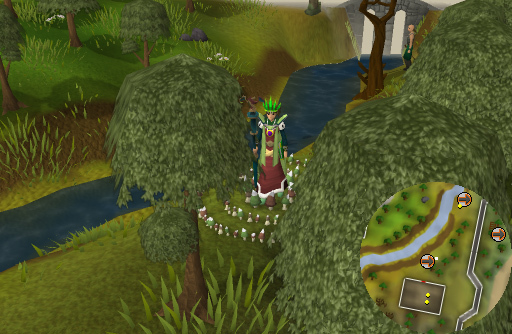 BKP - Chompy hunting swamp south of Castle Wars. 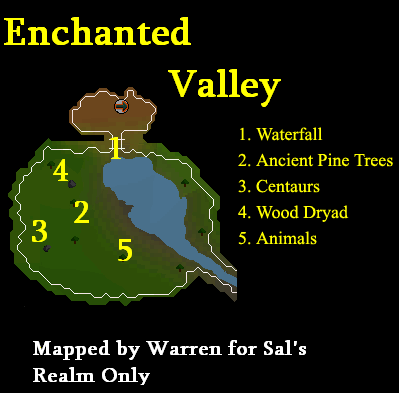 BKQ - Enchanted Valley with Centaurs, rabbits, and tree spirits. 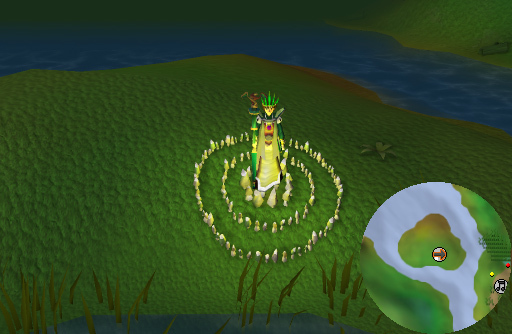 BKR - Mort Myre Swamp. CIQ - South of Tree Gnome Village. CKP - Cosmic Entity's Plane. 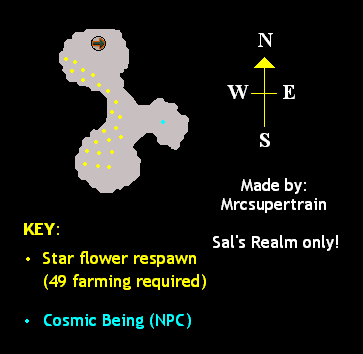 Contains the Star Flower respawn. 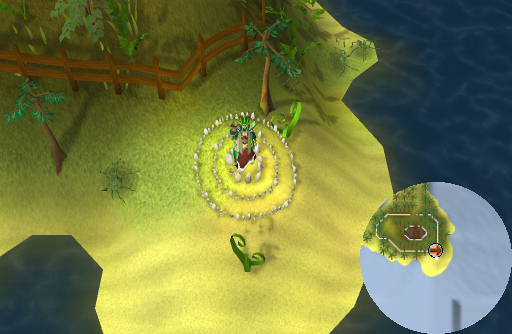 CKR - Karambwanji fishing spot. Located northwest of Shilo Village. CKS - Canifis, near the mushroom patch and the entrance to the swamp. CLP - Island northeast of the Wizards' Tower (deserted). 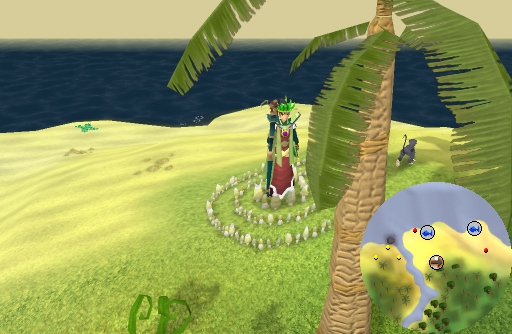 CLR - To the west of the Ape Atoll agility course. CLS - Gnome Hazelmere's house (from Grand Tree Quest). DIP - An island to the south of Mos Le'Harmless. 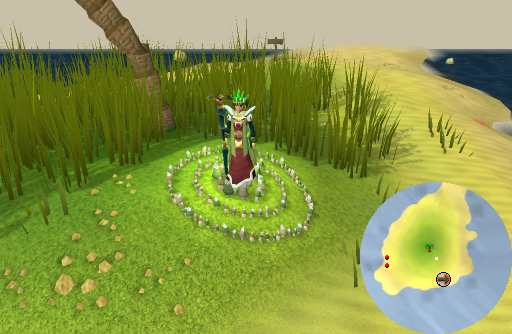 DKP - North of the nature runecraft altar. You can fish Karambwan here. DKR - Edgeville canoe station. DKS - On the Trollweiss Mountain, near the entrance to Keldagrim. DLQ - Desert (desert lizards and jackals). DLR - Isle in Isafdar Poison Waste (deserted). DLS - Cavern in search of the Myreque tunnel. AIR, DLR, DJQ, AJS - Fairy Resistance HQ. BIR, DIP, CLR, ALP - Ork's Rift. 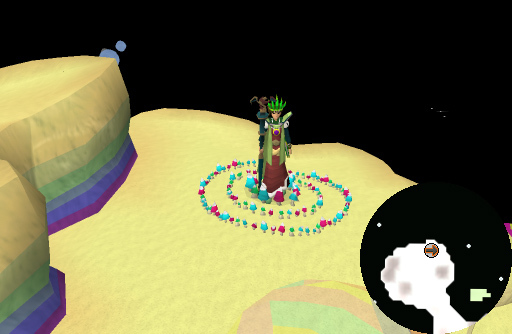 Any coordinate not listed will simply take you no where and you will be teleported somewhere near the main ring. You will get this message.